Held on July 12-13, 2018, the event featured 10 scholarly papers examining Jesuit ministries after 1814. 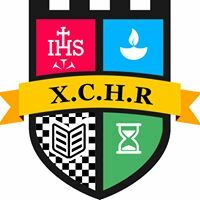 Scholars represented the fields of education, ecology, theology, aesthetics, Christian-Muslim dialogue, subaltern development, spirituality, and others, according to the XCHR’s facebook page. Roland Coelho, S.J., the provincial of the Jesuits’ Goa Province, and Vinayak Jadav, S.J., of St. Xavier’s College, Ahmedabad, delivered keynote addresses. More information about the XCHR is available at https://www.facebook.com/xchr.goa/.